Winder Monroe Lyons began playing folk music professionally on Bourbon Street in his hometown of New Orleans, La in the early 1960's while still in high school. Coming from a semi-musical family (his mother a concert pianist, and his father an avid, though tone-deaf, music lover), he quickly veered from classical training to the world of nightclubs, hotels and concerts. After being drafted in 1966 and serving almost three years with the US Army Corp of Engineers in the U.S. and Vietnam, Winder founded an ecological organization in New Orleans: The Ecology Center of Louisiana. At that time and for many years after, he plied the musical waters of New Orleans and the South playing folk and bluegrass as a single and in bands. Along the way he wrote a music column for the local New Orleans newspaper: The Times Picayune. Although he stopped playing professionally in the late 1970's, music has always remained an important part of Winder's life. His new album "If Ever I Cease To Love," inspired by his sister Maryann's amazing life journey, and his support for the saving of the Louisiana wetlands, is a return for Winder to his roots in two areas: music and ecology. Byron was inducted into Oklahoma's Musicians Hall of Fame, named Oklahoma's Ambassador of Goodwill, been featured artist at the international convention of the Violin Society of America, and conceived and planned the Oklahoma International Bluegrass Festival since it's beginnings in 1997. 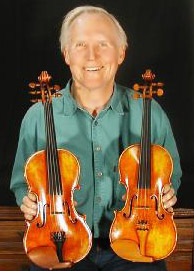 Byron Berline has been touted as "one of the most inventive fiddlers ever ...". His skill, versatility and artistry continue to be recognized by his peers, the press and audiences world-wide. He is a witty, charming personality and his music is evidence of that. It seems that there was always music on when I was growing up. My dad remains a huge music fan: Clapton, Stevie Ray Vaughn, Lucinda Williams, Seger and Springsteen still greet me when I walk in his door. Growing up it was a steady diet of Orbison, Buddy Holly, the Beatles and the Big Bopper ( HEL-lo BAY-bee!). Once a year my dad would drag his records into our school and exercise his history degree by making us listen to the classics... I have no idea how he convinced the principal that this was a good idea. How many young kids really need to be walking around singing "Yakety Yak?" My school (preppy heaven Phillips Andover) at the time had a modest electronic music studio and I took every class I could there in order to get as much time as possible with the machines. That was 1987 (don't bother with the math, I'm 37), well into the MIDI revolution, and I became very friendly with a certain Macintosh computer and Mark of the Unicorn's Performer sequencing software (version 2.6, I think). I started collecting synthesizers shortly thereafter, and soon was surrounded by keyboards, mixers and speakers in a pretty well developed home studio. In 1996 business was good enough that I moved into a much larger space in Newburyport, where the studio still lives today under its more obvious moniker: Thomas Eaton Recording. Little did I know that in a couple of years the whole recording world would come around to my way of working, embracing the computer as an essential part of the modern music making process. So now thirteen years into all this I'm still loving the work, finding a niche in the little world of folk/roots singer-songwriters, and making good records. Performing Songwriter magazine featured my place in an article about ten studios nationwide that make good records for reasonable budgets, and I was honored to have been selected. I've been playing keyboards, accordion, percussion and even a little bass on some records, and have worn the little "producer" hat more than a few times over the last dozen years, and increasingly more as time goes by. Just building a little business out of an idea and a love of music, bit by bit. If there's one snippet of the pop lexicon that musician Richard Gates of Jamaica Plain can relate to, it's Tom Petty's 1981 line "The waiting is the hardest part." 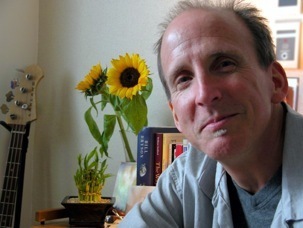 For Gates, 57, a bass player, occasional teacher at the Berklee College of Music, and accompanist to the likes of Suzanne Vega and Patty Larkin, the wait took four years and brought him a new heart. A running enthusiast who had completed 12 marathons, Gates was out jogging one morning in 2000 when he had trouble breathing. His doctor ran some tests and suspected a heart attack. At Brigham and Women's Hospital, he got the diagnosis - cardiomyopathy, a deterioration of the muscular tissue of the heart - and was told he likely had five or six years to live. Gates was told that the medical team would do the best it could with medication, but that he would not be a candidate for a heart transplant until he could no longer function outside of the hospital. In 2001, Gates had a defibrillator surgically implanted in his chest to work as a pacemaker in case his heart went into arrhythmia. When Dr. Michael Sweeney, the surgeon who performed the procedure, learned he was a musician, "he asked me to bring in my bass and put it on so he could implant it away from the guitar strap," said Gates. " 'You have to get out there and keep playing,' he told me." Of the 6,210 people waiting nationwide for a heart transplant in 2004, Gates was one of the lucky 2,015: That March, he got his new heart. Even then, some scary moments followed. The day before a gig in New Jersey with singer/songwriter Kristin Cifelli, he learned that a test revealed his body was rejecting the heart. "He had to drive all the way back to Boston for some drugs, and then drove all the way back down to play our gig," said Cifelli. "Ironically, Richard has the biggest heart on the planet. He is so appreciative of every single note of music that he gets to play." written by Susan Chaityn Lebovits, the entire article can be found on The Boston Globe website.